Totally true. I’m guilty of veering into depressing and/or bitter myself. But positive stepparenting blogging… it’s just– well, not impossible because nothing’s impossible… but (like absolutely every other damned thing about blended families) it is delicate and tricky. To have a good blog, you need interesting content. 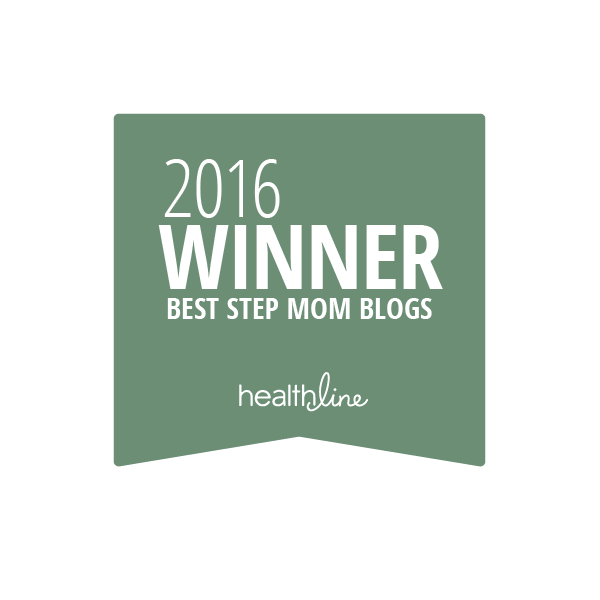 Without any drama, your stepparenting blog sounds pretty lame, almost like a regular family. Who wants to read about that? You get that at home. So, you need a little drama to keep things spicy. Except, under a constant onslaught of drama, very few people are able to remain positive, let alone keep a sense of humor about it. For example, this weekend my stepdaughter refused to get on the plane to see us. And her mother refused to make her. If anyone can tell me how to make this into a funny story, I’m all ears. Right now, it’s depressing. And if I dwell on it, bitter will enter next. We had nothing but totally normal family things planned. Miss L’s favorite dinner Friday night: chicken enchiladas and homemade refried beans. After, we were hitting Titanic 3D. Saturday we were going to refinish some dressers that were her great-grandmother’s, a project started ages ago. And in the evening, we were going down to Pig Rock to do some bouldering, grill a fat steak, and watch a movie under the stars via portable DVD player. Sunday: sleep in, make pancakes and bacon, chill around the house till airport time. Could I make an interesting blog entry out of that? Maybe. Dan has some good one-liners, and pics of climbing are always good. Except, if the blog entries are about regular family stuff and aren’t about your struggles as a stepparent, why are other stepparents reading your blog? They’re looking for support, commiseration, reassurance that they’re not alone, stories of how other blended families handle conflicts, either to sympathize with them or find guidance for their own battles and inspiration for their heartbreak. If the weekend I write about is just like any weekend with a regular family, it benefits nary another stepparent out there. Maybe I could make it funny if I include the part about how I was joking to the kids that I’d rather have us all live in a tent than spend one more summer in Las Vegas, and how the lawyer actually mentions that in her official letter: that a tent is not acceptable living conditions, that this is a reason Miss L should be here less. As if I had been serious. I mean, come on. That’s pretty funny. It’s also kind of funny how the lawyer’s letter said with Miss L getting more interested in her hair and makeup, it’s not important for her to see her dad as much anymore. Yep. Really said that. It’s also really funny how it’s the four days a month she’s with us that is causing her to flunk English class and has her constantly exhausted, not the other 26 days of the month. And also pretty hilarious that she doesn’t get enough time with her friends during that 26 days, but instead needs to only visit one weekend per month from now on because friends are super important, and 26 days isn’t enough time to spend with them, and four days is too many to spend with us. Actually not funny. I’m afraid I stepped into bitter a little. Dammit, I was doing okay for a minute there. They’re just super close together sometimes. Okay, so positive stepparenting blogs? Yeah, they don’t exist. Because like every single other life experience, stepparenting in a blended family isn’t always positive. There are ups and downs and you can’t make everything funny. There are really hard times, and really good times. And sure, there are totally hilarious times, but sometimes the absurdity gets lost in the unfairness. The anger. The wondering why the most basic thing in the world– having a family– is so easy for everyone in the world except for your family. It’s not always like that, though. You just have to hang in for the crappy stuff till the good stuff comes back around. Just like a regular family. Above all, keep your sense of humor. And for the love of god, don’t joke about tents. Loved the lawyers take on tent living! Yep. This is why they say truth is stranger than fiction.